Ever since I was little I have dealt with severe pain in my lower back. It was not until I was an adult that I finally got answers as to why. I have what is known as Pars Defect in my back. Pars Defect is where your lower spinal cord is fractured. When it starts to get cold in Ohio I quickly begin to get bad pain in my back and it starts to lock up on me. With having 5 kids I can not afford to be bedridden with back pain. Recently I received a copy of Aches and Gains: A Comprehensive Guide to Overcoming Your Pain . This book is coming in handy with helping me with my back issues and Mr. Andersons bad knee. This book offers the reader traditional, integrative and innovative methods of easing pain. The book is a life-changing tool for anyone who suffers from pain or helps care for those who do. I am not the type of person who likes to take a bunch of medication. I prefer to try and treat my pain and illnesses with natural ways. Sometimes that is as easy as doing stretches I learned from physical therapy. 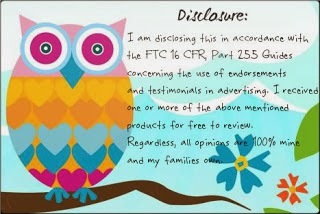 I have learned over the years how to read by body and what it needs. I like that this book gives you different options to try to help relieve pain without the use of medication. 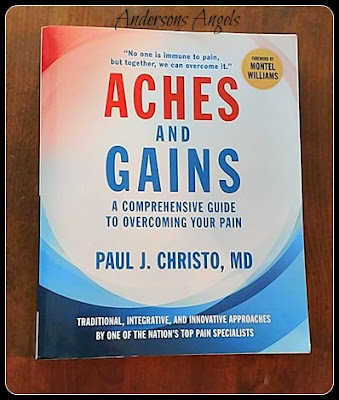 If you or someone you knows suffers from pain and would like some non-medication options for treating it, then I would recommend picking up a copy of Aches and Gains: A Comprehensive Guide to Overcoming Your Pain .